Foam is considered to be one of the top materials for insulating homes and structures. With an assortment of types that feature high R-Values, a measure of thermal resistance, locating a foam that doesn’t insulate can prove to be more difficult than finding one that does. While construction is the most typical use of urethane foam insulation, the materials’ insulating properties can also be applied to the human body in outdoor or emergency scenarios. The Foam Factory has many materials that could be used to prepare emergency camping equipment or survival supplies should you ever find yourself needing to stay warm in the wilderness. Possibly the most basic yet important item to have on hand if you plan on spending extended time outside is a sleeping pad or camping pad. Even when all that is planned is a short midday hike, a thin, lightweight sleeping pad is important for insulating and cushioning the body on the ground if you are forced to spend the night in the wilderness. Resting directly on the ground without an intermediary material quickly draws heat away from the body, an issue that an insulating foam sleeping pad can help minimize. Staying warm is one, if not the most important factor in outdoor enjoyment and is imperative in survival situations. A sleeping mat from The Foam Factory can make a huge difference between catching a few Zzz’s or shivering through the night. And of course, if your hike goes according to plan and you don’t have to spend the night outdoors, soft foam padding for use as comfortable seat foam is a nice benefit of your preparedness. A thin, flexible and insulating material, gym rubber is one closed-cell product The Foam Factory offers for use as camping sleeping pads. These are able to be custom-cut to any size and are offered in a full or half foam sheet in thicknesses starting at 1/8 of an inch for those who want to cut their own sleeping pad. These are easily rolled and placed either inside of packs or lashed to the outside and also feature a “skin” on one side that is easily wiped down. Whether you desire a thick sleeping pad, comfortable pad or a thin and mobile sleeping pad, having a sleeping surface on hand is important. Another precautionary step many people have decided to take when intentionally venturing into the cold is creating their own foam clothing liners for cold weather gear. For years, those passionate about enjoying the outdoors regardless of season or climate have fashioned thin foam sheets of closed and open-cell foam into clothing liners, claiming to achieve performance comparable to that of the most expensive cold weather clothes. Whether fashioning this winter gear for use as emergency materials in the case of an accident or just wanting to create incredibly warm clothing for very little money, The Foam Factory can provide the foam materials needed to outfit just yourself or even your whole family. Those who have devised and used these heat-retention systems claim* that open-cell super soft or cost-effective poly foam lining draws moisture away from the body but also dries quickly when using breathable outer fabrics. Body heat, evaporation and the outside temperature combine to keep moisture moving out of the foam, meanwhile keeping warm those wearing it . Open-cell lining inserts are said to be particularly helpful in mittens and boots, because of how quickly our extremities can lose temperature and be subject to frostbite in cold conditions. 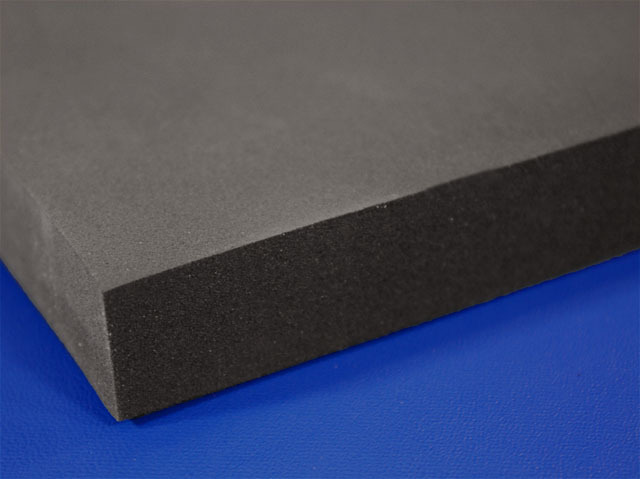 In an environment where moisture is not an issue, closed-cell foam can be used as an insulation barrier around a wearer that won’t let anything in or out. The applications for foam as outdoor and survival gear are limited only by the creativity of its users. Foam’s insulating capacity, the waterproofing characteristics of some varieties and the absorbing qualities of others can make it a valuable resource while in the great outdoors. The Foam Factory supplies numerous materials that can be made into any product you think you may help you get by on the trail. *NOTE: These statements are reflective of claims individuals have made using materials similar to what The Foam Factory offers. The Foam Factory has not tested any of their materials for performance in clothing or apparel applications. This information is provided at your own risk. The Foam Factory will not have any liability to anyone for incidental or consequential damages or any other liability, injury, loss or damage arising out of or related to our products, even if The Foam Factory or an authorized representative of The Foam Factory has been advised of the possibility of such damages. Do you have a foam material that can be used for camping pads/mats that won’t turn to stone when the temperature falls below freezing? You could use 1″ of our firm super lux foam. This foam is an open cell foam that is not temperature sensitive. However, the foam will need to be covered to protect from moisture and dirt. I`m looking for a padding for a hide-a-bed approx. 3 inches thick and 60in.x70in. to make sleeping more comfortable. just wandering if you have anything like this. Our suggestion would be our firm Lux-HQ foam for your application. 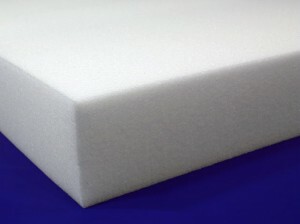 You can find sizes and pricing on our conventional foam mattress page. I am looking for something to cover a metal box about 4 feet in length and 8 inches wide. Its support employee’s knees while loading boxes into a dispenser in a factory setting. Neoprene at first sounded great but we use bleach to clean equipment and my understanding is that bleach breaks it down easily. I need something that can stand wear and tear from constant daily use while also providing enough support to prevent people from getting injured. You could stick with neoprene for your application, then cover the foam with a heavy duty fabric like vinyl to protect the foam.